Aren't these yummy looking?! 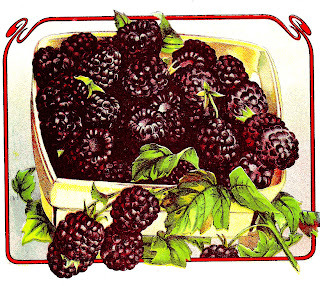 These are Black Diamonds Blackberries. This piece of fruit clip art is from a vintage seed catalog around the 1870's. 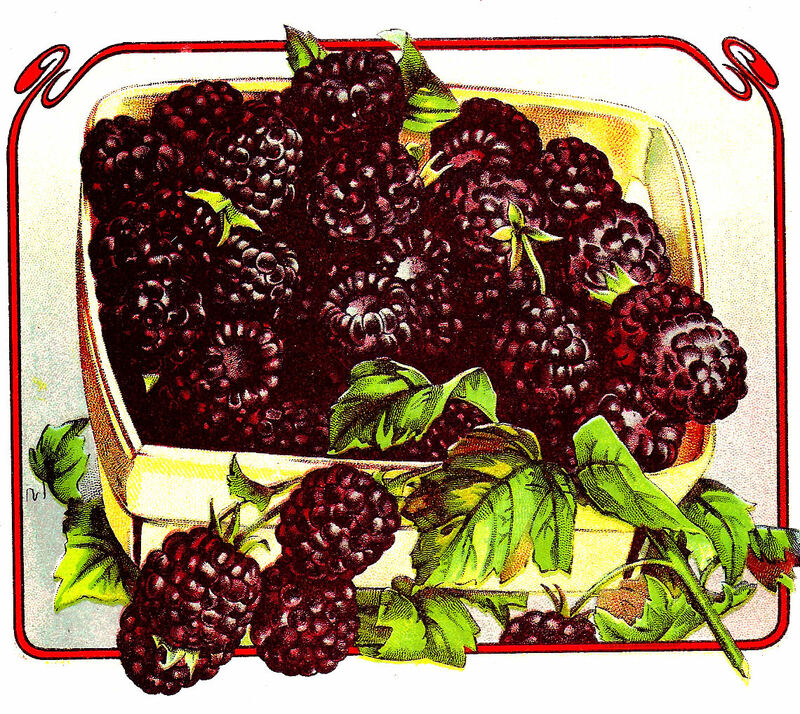 Wouldn't this look wonderful decorating a label on a homemade jar of blackberry preserve or jam? I hope you enjoy! Oh Yum! some Bramley Baking Apples with them baked in a pie, lashings of fresh cream. You got me craving now Lol. Thankyou so much Carolyn.